“In our history that goes over three decades, no team has managed to make a hat trick, so here’s a challenge for them." 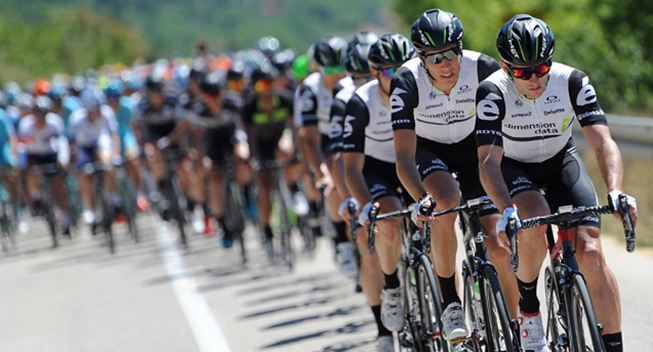 South Africa’s Dimension Data is the first World Tour team to have signed up for the 22nd Le Tour de Langkawi set to take place in Malaysia from February 22nd to March 1st. They’ll make their way to South East Asia as defending champions after having won the overall classification twice in a row with Youcef Reguigui and Reinardt Janse van Rensburg. “In our history that goes over three decades, no team has managed to make a hat trick, so here’s a challenge for them”, Le Tour de Langkawi 2017 CEO Emir Abdul Jalal noted. With two consecutive wins, firstly as MTN-Qhubeka, secondly as Dimension Data, the only African World Tour team mimicked Mapei (with Gabriele Missaglia and Paolo Lanfranchi in 1998-99), Barloworld (Ryan Cox and David George in 2005-06), Diquigiovanni (Ruslan Ivanov and José Serpa in 2008-09) and the same Italian squad renamed Androni (Jonathan Monsalve and José Serpa again in 2011-12). Shall Dimension Data make this highly expected hat trick in its seventh straight participation, it will be with a third different cyclist as Reguigui and Janse van Rensburg have not been entered this time around. But the name of the defending champion remains on the start list with Jacques Janse van Rensburg. They aren’t related but the latter is actually the most regular African performer at LTdL in recent years. At the age of 21, racing for Trek-Marco Polo, he finished sixth overall. He also came 20th in 2012, 14th in 2013, 6th again in 2014 and 9th in 2015. “I’ve always loved Le Tour de Langkawi and I keep the dream of winning it alive”, said Jacques Janse van Rensburg who’s chances are increased with Cameron Highlands being the queen stage rather than the grueling climb to Genting Highlands. “The race is now open to more riders to win”, informed Emir. Dimension Data is likely to amaze with promising neo pros Ryan Gibbons and Ben O’Connor, from South Africa and Australia respectively. Interestingly, last year’s winner was originally on the reserve list, so is Daniel Teklehaimanot this time around. The first Eritrean to have worn a distinctive jersey at the Tour de France with the polka dot in 2015 might be another surprise coming from Africa. The black continent is a serious candidate for a fifth overall victory after Cox, George, Reguigui and Reinardt Janse van Rensburg. Nic Dougall, Ryan Gibbons (Rsa), Adrien Niyonshuti (Rwa), Ben O’Connor (Aus), Jacques Janse van Rensburg, Jaco Venter (Rsa).